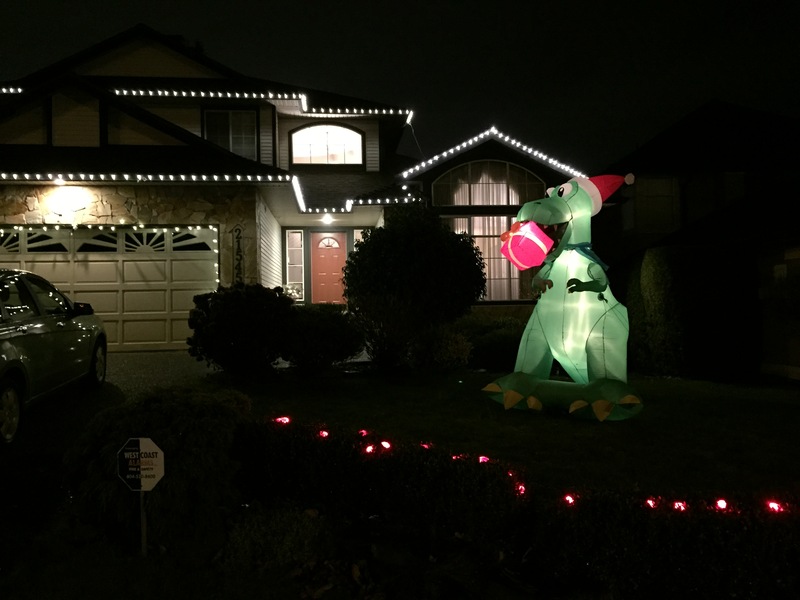 So, last week, I’d begun the epic quest of getting lights up on my new house. 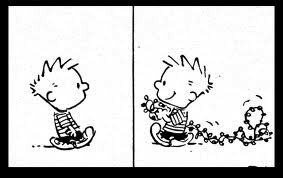 I’d never put up lights. I had to watch a video on how to do it. I generally watch videos on how to do anything for the first time. It’s that or ask someone. And asking someone is so 20th century. I should never do this without proper supervision. Here’s the top reasons why. Never poo-poo a frosty roof. There was even snow on parts of the roof untouched by the sun. But I had to get to those parts. Lights needed to be put up. A smarter, more evolved creature would have waited a day or two. Not me. I had to get it done. People who end up in wheelchairs start a story like this. I will push the limits of safety. So there I was, crawling over the peak of the frosty roof, clipping lights to the roof and I really, really wanted to get them clipped to the roof since I didn’t have a ladder long enough to reach the apex above the living room. 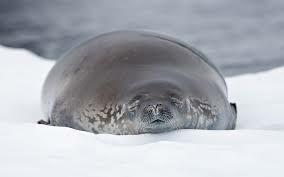 So I lay down and inched over the peak, face-first, tummy in the snow, and clipped one more light on, then another, then inched down a bit more, then clipped another and another. I stopped when my face was close to the gutter with my feet clinging to the peak. My sphincter was so tight, I think I created a small black hole. But I didn’t slide off the roof and land face first. So, yeah, a win, right? I am not as limber as I think I am. Oh, not by a long shot. I had to climb onto the very top of the roof to, you know, get those extra cool lights up. I didn’t have a ladder that would reach, so I thought to myself, hey, you can haul yourself up, right big fella? Well I think a Magic Mike guy could have vaulted up the 4 feet, but me, I looked like a sea lion trying to wiggle his way onto some outcropping. I greatly fear that there is a youtube video the neighbours took of me flopping around. I can’t stop once I start. I think I went back 5 times to Canadian tire. Mission-creep becomes a real problem. 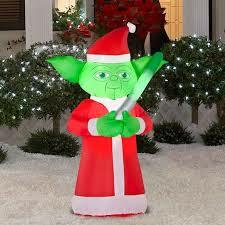 At one point, I wanted a train, a projected image of Santa’s workshop on the garage, and a choir of dancing balloon-Jedi. Luckily they were out of all those things. So I just bought a lot more lights. I was pretty sure no one (yet) could see my house from space, and I meant to change that! I don’t always make the best decorating choices. I even took the boys with me to help. I did manage to avoid a Christmas robot and we couldn’t find an Adventure Time blow-up, so we bought the epitome of a Christmas front lawn display. 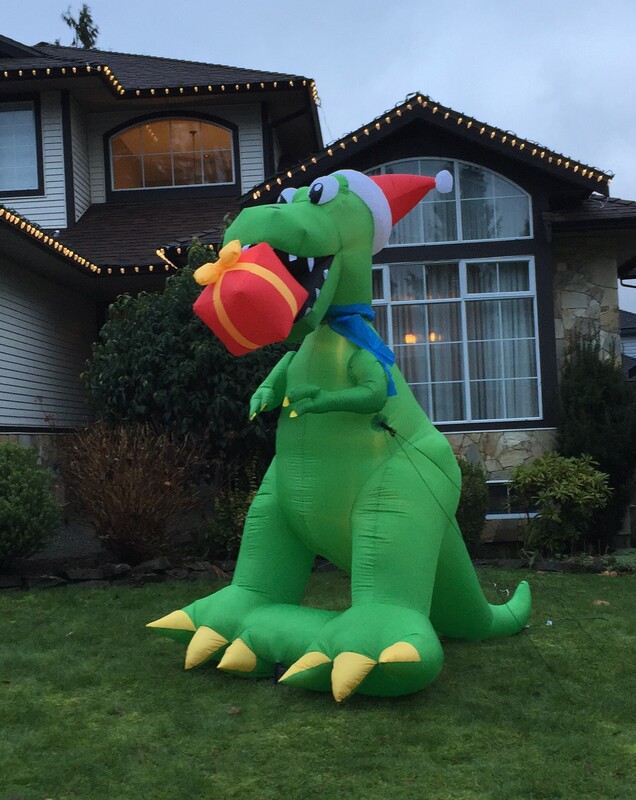 A giant, 8 feet tall dinosaur eating a present. But after much swearing after I hung a whole string of lights with the pluggie thingee on the wrong end, after much time spent making sure all the lights were PERFECTLY straight, after retrieving my car keys that somehow fell out of my pocket and tried to hide on the roof, I finally had the lights up. But the Prettiest-girl-in-the-world had learned her lesson. On the weekend, I wasn’t left to my own devices – we put up the tree lights together. There were no fires, no decorations that farted out God Rest Ye Merry Gentlemen, no rude gingerbread cookies, just a well decorated tree in the perfect home. The dinosaur is inspired. Love it.